I'm still working away at the new iPad Air, not to mention loading it up with movies and TV shows for my cross-country flight on Monday. But in the meantime, Jim Galbraith of the Macworld Lab has run some speed tests on the new iPad Air compared to other recent(ish) iOS devices. The results are not shocking, but they're still impressive: The iPad Air is pretty much the fastest iOS device ever. The Geekbench testing app showed the iPad Air to be faster even than the other iOS device running Apple's new A7 processor, the iPhone 5S. (The iPad Air's A7 runs a little faster than the iPhone's, owing to its larger battery and possibly its greater ability to dissipate heat.) 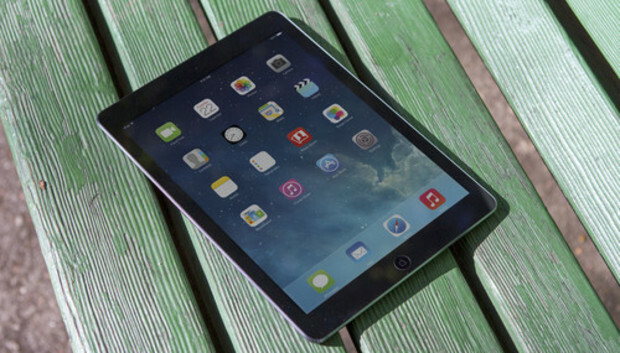 And it was almost (but not quite) double the speed of its predecessor model, the fourth-generation iPad. Essentially, in a year Apple has almost doubled the speed of both the iPad and the iPhone. Not bad. Of course, what to do with that kind of power? Testing apps can tap that power, but what about real-world apps? I'm finding the iPad Air fast at launching things and smooth at scrolling, but in reality I think it'll be a few months before we see a whole new set of apps that are built with the speed of these new devices in mind. Jim Galbraith also ran some graphics tests using the GLBench app. On this test, iPads are at a disadvantage against iPhones because of the size of the iPad display. An iPad has four times the pixels of the iPhone 5 series. Still, the iPad Air showed a dramatic improvement (between 9 and 11 frames per second) in frame rates over the iPad 4, even if it lost to the iPhone 5S on three of our four tests. Higher score is better. Best results in bold. Stay tuned for much more about the iPad Air in coming days, including more diary entries and my full review. If you've got questions you'd like me to answer, leave then in the comments attached to this story or just send a tweet to @jsnell on Twitter.